Object of the procurement:Acquisition, graphic design and production of personalized promotional materials for the Interreg V Romania-Hungary Programme, respecting the Visual identity elements of the program, as well as the technical specifications stipulated in the terms of references. Object of the procurement:Acquisition of 3 (three) hybrid cars for the provision of transport means for the Joint Secretariat of the Interreg V Romania-Hungary Programme. 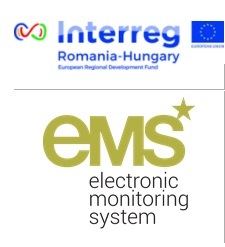 Object of the procurement: Purchase of IT equipment and licenses for the Joint Secretariat of the Interreg V Romania-Hungary Programme. Bidding deadline: 08.06.2018, 15:00 (EET). Object of the procurement: Acquisition, graphic design and production of personalized promotional materials for the Interreg V Romania-Hungary Programme, respecting the Visual identity elements of the program, as well as the technical specifications stipulated in the terms of references. Bidding deadline: 29.05.2018, 15:00 (EET). Bidding deadline: 15.11.2017, 16:00 (EET). Bidding deadline: 16.08.2017, 15:00 (EET). Bidding deadline: 31.07.2017, 16:00 (EET). The call for tenders was published also in the S.E.A.P. Bidding deadline: 29.06.2017, 15:00 (EET). Deadline for submission of documentation: 09.03.2017, 16:00 (EET). Deadline for submission of documentation: 01.03.2017, 15:00 (EET). Deadline for submission of documentation: 05.09.2016, 15:00 (EET). Object of the procurement: Authorized simultaneous interpreting services, in Romanian, Hungarian and English, as well as rental of sound and simultaneous translation equipment for events held in the framework of Interreg V Romania-Hungary Programme. Deadline for submission of documentation: 09.09.2016, 15:00 (EET). The tender documents are available on S.E.A.P.